I'm still getting the 3d engine up to scratch for what Battlescape needs, with a bunch of handy additions this month. Minor additions are mipmapping and hierarchic models. Both systems were sort of already implemented internally, but required ancillary code to support and complete them. Now we can have textures that don't fizz in the distance (or when edge on), and tanks with turrets (that look really cool . Neither feature is a particularly big deal, but you sure miss them when they're not there! Also, I've added a PNG loader, by virtue of libpng ( http://www.libpng.org ). Integrating this was a joyous task (and I mean that sincerely, not sarcastically) and only took about an hour to get everything working right, thanks to a nice simple API, reasonable documentation and some good example code. This is definitely an example of how to write an open source project . Kudos to the libpng guys for this, and for providing the library completely free too. Same goes for zlib ( http://www.gzip.org/zlib/ ), which libpng uses, simple API and decent documentation (you should see the huge amount of commenting in zlib.h!). I've also gone through a lot of loader code changing it to use memory mapped files instead of our regular file system (which is based on CreateFile etc). Memory mapped files can give a great speed boost to loader code, especially when the loader is reading small chunks of data at a time, and therefore having to call into the file function a lot. I wrapped the memory mapped file in a really simple class which implements the same Read functions as our regular file class, but does it all by copying chunks of memory and pointer arithmetic. It's working really nicely, gives a good speed up (16x in one case where we're loading a very large image file), and looks pretty much like the normal file system we use. Finally, I've implemented the start of an effects system. Basically (and generally), an effects system generates stuff that looks pretty, but serves no other purpose, like sparks, smoke trails, water splashes, stuff like that. Mostly these are implemented with a particle system, but I've built a generic effect system, that can support various types of effect. Currently only particle systems are actually implemented though. It's by no means finished, but considering it was implemented in a single night, due to Poo Bear laying down a challenge that it couldn't be done , it's not too bad, and I managed to keep the class structure, and overall code, sane, suprisingly clean and extensible. I guess probably another night's concerted effort will yield something that can actually be used in Battlescape, and from then on it's just a matter of adding features as and when they become necessary. Of course, everything is controlled via a script file, which is just a plain text file. This is good because Fost can tweak effects to his heart's content without needing the intervention of myself or Poo Bear, although, considering how much work he did on the effects for previous games, I'm not sure he'll want to crack open Notepad again . Still, it's cool being able to change things without needing a recompile, but being able to change settings and reload the effect without restarting the game is the holy grail. Luckily, I think it should be reasonably simple, I'll let you know once it's done. I've finally got back to where I was a month ago, but now in glorious 3D, nothing much exciting happened game wise as it was just a case of rewriting things to switch from 2D-3D. Now it is all working again we can actually move the game forward, hopefully a basic prototype of actual gameplay will soon follow. Spent a lot of time looking at how maps are generated with a view to making it as easy as possible. In the end the simplest approach uses a variety of simple images (.tga, .raw) to represent height, trees, shadow, water, etc. This should mean anyone can easily make a map as long as the own some kind of paint package. It also makes it easy to use any of the miriad of height field generators that are kicking around on the net to actually shape and color realistic looking landscapes. Going 3D has caused a few problems. Download size if very important and we want to try and keep it down to about 15MB, there are still so many people with modems out there. The 2D game used a tile editor to build landscapes, this meant you could have enormous maps without affecting the download size. They looked ok but certainly not realistic or anything, as a 2D game it would have been good enough. Going 3D however you suddenly have a world of possibilities opened up and to be competitive it better look absolutely super. Then again if we had stayed 2D we wouldn't have had many units, a 3D animation is tiny and a 2D one is huge. The biggest item in the game is the texture on the landscape, we are using a 2048x2048x24bit tga for the largest landscapes. This can then be compressed to about 1MB. The bigger the level the more stretched this map looks, so this limits the maximum size of a game map. They still seem reasonably large maps, so I don't think it is going to be a problem. If we have about 10MB free for maps of different sizes that should let us fit around ~15 game maps into the game (5-6 full size) which seems reasonable to me. With sprites the image can go quite small and still look very nice as it can be touched up to perfection by an artist. You can also run fairly happily on one of those $10 Intel eXtreme graphics cards. Not true in 3D, where when things get small they start to become unrecognisable and suffer from rendering artefacts known as "fizzing". So we now need to run in higher resolution (1024x768), running in lower resolution is still possible but you will need to manually zoom in a bit to see what is going on. This also has a knock on effect for the minimum spec PC required, probably something like a PIII-800 with 256MB and at leat a TNT2/GeForce1, but it's too early to say for sure. 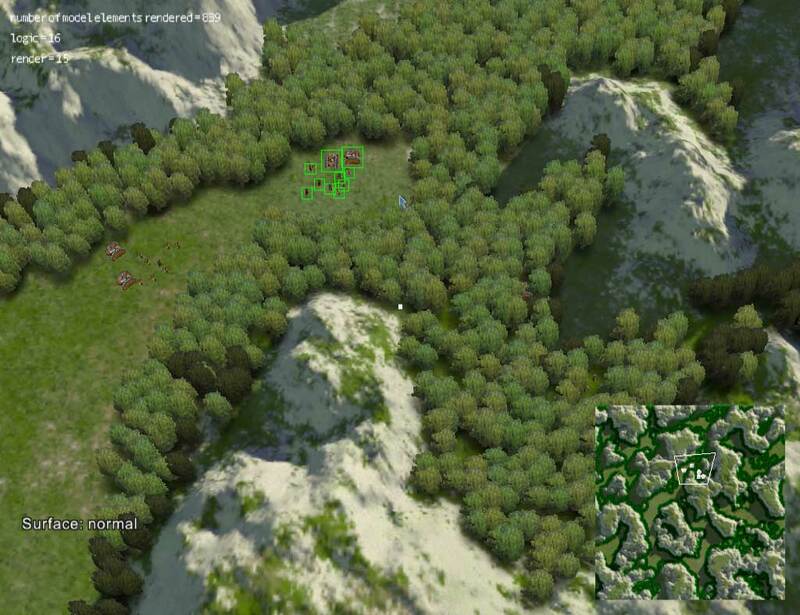 Mainly working on getting the landscapes up to scratch, and variations on ground clutter such as trees. Right now I'm looking at the best camera angle and min/max zoom levels we should use. It's a pretty straight trade off between the game looking foxy at ground level, to the game being far more playable from directly above. We are all about playability, so we are going to keep it high and I think we'll still get it looking good. Poo Bear's default are actually pretty much spot on, and have a nice 'satellite view' feel to them. We are still considering options for making certain models visible as you zoom out (Troopers disappear utterly when zoomed out to the max right now), but I think this is actually ok, and doesn't interfere with gaming - as long as there will be some kind of icon so you don't lose them. I'm also messing around with detail mapping so as you zoom in you shouldn't end up getting a blurry mess. If you ever need help with any testing, I know how most engine's work and could probobly find a good deal of errors and exploits if need be. I am very thorough, but short on time, so you may send something, get a dozen reports back, not hear me for a week then suddenly get a dozen more. Beta testing is still a long way off and there isn't much point mentioning it yet. Safe to say, the best way of being in with a chance of getting in the beta group is to buy Starscape We've got the details of all previous customers and we will probably contact a selection of them. 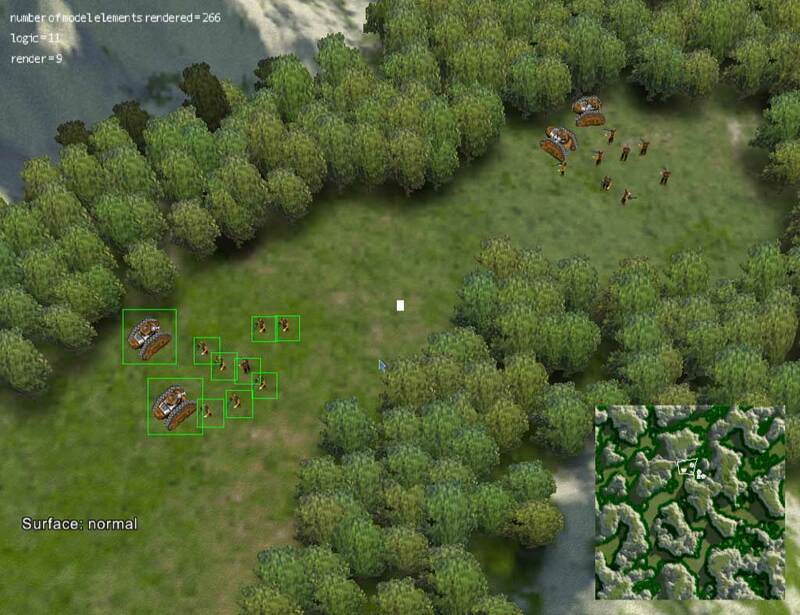 Those screenshots reminfd me of an old 2000ish rts that looks similer... Called Metal fatigue. Real fun game bad pathfinding andbugs here and there, made by Zono and published by Psygnosis (Psygnosis has scince withdrew from the PC games market and they have the rights to the game so no chances of a sequel or addon or mod support of ANY kind ) prolly the most interesting thing about it is fighting on 3 different lavels at the same time, Surface, Orbit and ubnderground not to mention air units. Tmain focus of the game was the combots <droll> large walking pillars of death. 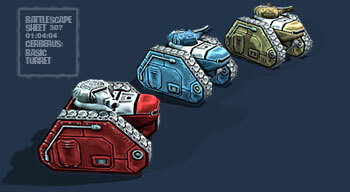 on the surface tou have your main base combots tanks vehicles and air units and a few other things. in orbit you have platform asteroids to build onbiggest advantage in orbit is the large abounts the solar ewnrgy you have acsess too (build lots of solar panels here) you have all the structures here too vehicles (limited to the asteroid they are on) air units and compots (computs with a form of jump jets can fly from roid to roid) flight capable unitsa can fly rom orbit to surface maps and visa versa. underground in interesting... need to bould elevators to traverse to underground, on'y have vehicles and certain structures. the advantages of each map are what make control of these seprate sections of the level almost a complete necesity. How much detail do you think you'll be able to pack into those maps? About the only good thing from Black and White was the graphics, glorious wonderful graphics. There was so much detail in that terrain, and such scaling ability! Right now the scenery is a little muddy but I assume that's because it's a high compression jpg and you're trying to make it work right now, pretty comes later. Right now the scenery is a little muddy but I assume that's because it's a high compression jpg and you're trying to make it work right now, pretty comes later. Actually, I'm pretty sure a lot of the 'mud' is from jpeg compression, the maps are a fair bit sharper. I'm putting off messing with it though until we have larger battles going with a wider variety of units - at that point we'll be able to say: yes the camera works well between tX and Y amount of magnifiaction, and so I'll be able to tweak all the graphics to fit. We actually have a system in place for the overall colour map that dynamically applies large maps in smaller chunks - so in theory, we could use any resolution of map - as long as your graphics card can cope Maybe we'll offer the option to run the maps at higher resolution for cards with more memory - just needs looking at once the camera is final, and after any detail mapping tricks have been applied. There's a lot to balance - card compatibility - download size - and also ease of use - since we are hoping it will be pretty easy for everyone to make their own maps.